Bring this 70’s style ranch home into the modern times by upgrading to efficient heating and mechanical systems, increasing the functionality of livings spaces, and overall giving the home a brand-new look and feel. This project was a challenging, yet incredibly enjoyable experience for our team. Updating an older home to live up to its true potential left us all with smiling faces and a final project to be proud of. Want to learn more about this project or talk to us about starting one of your own? Contact us and we will gladly get some conversation started! This entry was posted in Uncategorized and tagged Lake Home, Recap on October 21, 2016 by Krista Boyum. 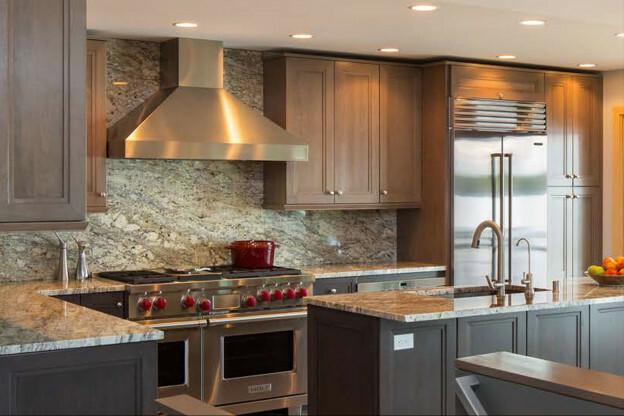 In the past 30 years we have worked with many contractors as we’ve remodeled four different homes and without question, working with Stephen Roche and Showcase Renovations has been the best and most rewarding experience of them all. From our very first meeting with Steve it was clear that Showcase Renovations’ goal is to understand a client’s vision and work in partnership with them to realize that dream. They listen as much as they guide and go out of their way to ensure their client’s ideas and expectations are fulfilled. They do a fantastic job of communicating and work hard to minimize surprises and delays. They even presented us with a spreadsheet outlining our entire project’s schedule before any work began. Amazing! It is hard to convey just how positive an experience working with Steve and his crew has been, but suffice it to say if you are looking for a contractor who fulfills their promises, does exemplary work, listens to your concerns and has your back, Showcase Renovations is the perfect fit. It is with great pleasure and confidence that we recommend them to you.